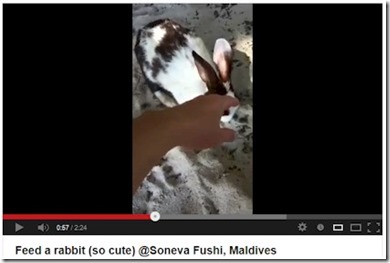 There are also lots of accounts in places like TripAdvisor (“rabbits that are everywhere”) and YouTube (see below). 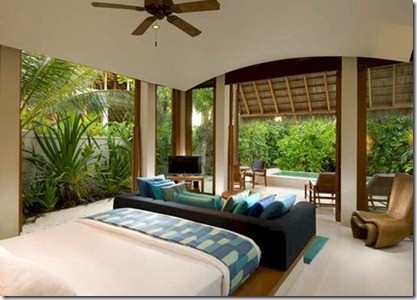 From a vibrant online ‘tribe’ to one of the most distinctive resort communities – Rihiveli Beach. Another gem from Francisco (from the same email as the sandbank) also highlights the spirit of openness. 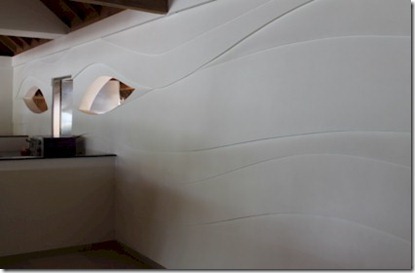 In this case, the Rihiveli staff quarters. We do enjoy the abundant hospitality that flows effortlessly from the Maldivian staff who work tirelessly to make our visits memorable and flawless. We enjoy our chats with them to appreciate more about their lives and their community. Rihiveli’s approach of opening up their quarters would seem to make a subtle but significant difference to the resort ambience where everyone on the island is together. Probably one of the more bizarre Best Of’s I have come up with. The Best for Seth Godin. Seth Godin is one of my favourite writers and one of the world’s top marketing maven’s. 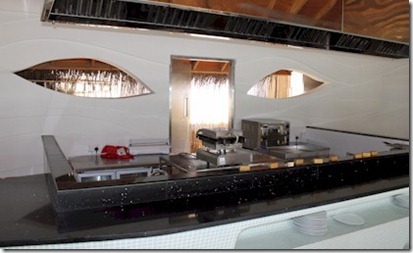 In many respects, his perspectives on marketing served to inspire much of Maldives Complete. He has written 11 books, a daily blog post and countless articles, presentations and ‘projects’. Most of his work revolves around the notion of finding and embracing your ‘raging fans’ (aka ‘tribes’). 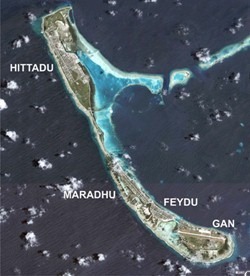 And while I have come upon passionate followings for a number of islands (Athuruga, Biyadhoo and Kuradu come to mind) none seem to be quite so fervid as Mirihi. Furthermore, Mirihi operates and does a number of things straight from many a Godin books that reinforce and foster this fandom. Purple Cows – The Maldives itself is a ‘purple cow’. Something truly ‘remarkable’ in all senses of the word especially in the ‘remarks’ that it inspires from people lucky enough to visit. In the 100+ strong herd of purple cows that is this archipelago paradise, it becomes a bold challenge to stand out even further. Mirihi has achieved it not with big, flashy ‘wow’ features (like underwater restaurants), but with a subtle combination of distinctive characteristics. It is more like a masterful blended whiskey capturing the ‘spirit’ of the Maldives than a single malt that stands out with a particular feature. Even Mirihi’s tag line reflects this individualised distinction – ‘Mirihi, a unique as you’. 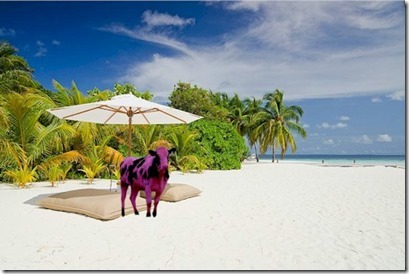 Though, I have to confess, it would have been fun if ‘Moo-fushi’ was my pick for ‘best purple cow’. Firing Customers – By obsessively catering to your raging fans, Godin talks about ‘firing customers’. It would seem anathema to some businesses to explicitly turn away any business, but the point is that trying to be all things to all people simply turns away even more implicitly. For example, Mirihi ‘fires’ people wedded to poolside entertainment or their fix of television by having neither pool nor TVs on the resort. It harkens to my common refrain to my most common question posed to me, “What is the best resort?” I always respond, “There is no ‘best resort’, just the ‘best resort for you’.” Mirihi doesn’t try to be everything to everybody. 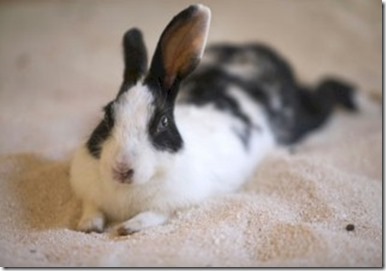 It knows what it is and sticks true to that sense in both its operation and marketing. Online – Godin is one of first and most prominent marketing authors to appreciate the power of the web for bringing together ‘tribes’ of enthusiastic customers. Not just bring the customers to the company, but bringing the customers together. For Mirihi aficionados, the place of congregation is the Trip Advisor Maldives Forum where Mirihi is often cited as a top choice among the aficionados. Today’s Spring Solstice is a traditional turning point to the seasons marking the shift to warmer days in the Northern Hemisphere. In the equatorial Maldives, seasonal shifts are marked more by the change of prevailing winds (especially since the angle of inclination doesn’t change much by definition at that latitude). These shifts typically happen in May and October. But, like this persistent UK winter which is bring us snow well into April it seems, ‘your mileage may vary’. One of my earliest and most frequented posts is ‘Air and Water Temperature’ which provides a month by month guide of key weather indicators (eg. inches of rainfall, hours of sunshine, air temperature, water temperature). 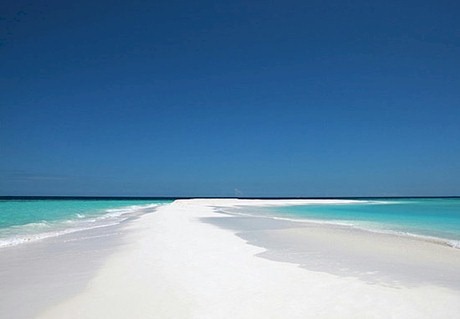 But with the weather such a central part of the Maldives draw (“The Sunny Side of Life” tagline), prospective visitors get even more meticulous in their climatic research. While island by island stats are not available (some people do ask how the weather differs on one island compared to another one a few miles away), there are some web resources which can provide a bit more detail. Thanks to some diligent work by TripAdvisor contributor Maria Eugene, you can get precipitation stats by month for the North, Central and South regions of the Maldives. 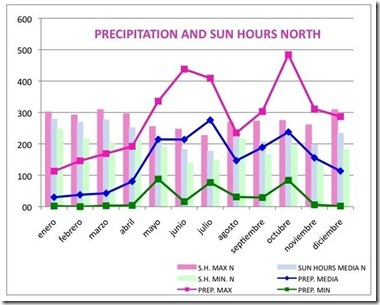 The biggest difference is looking at the ‘rainy’ seasons (the periods when the prevailing winds shift) which peak around June and November. The designation of ‘rainy’ season is purely relative as I have often explained. We have visited the Maldives in the peak of the ‘rainy’ season and still experienced more sunshine than we would see in an entire English summer (yes, faint praise I know). The key regional variations seem to be around these ‘spikes’ and the father north you get, the more statistical rainfall one seems to get (about 580mm in November at north compared to 400mm in south). Again, these are just averages and statistics and your mileage is likely to vary. Remember the gods of weather are mercurial croupiers with perverse and volatile senses of humour. Red Nose Day today. No, not a rash of under-applied zinc-oxide, but the UK’s day for goofing around for charity. 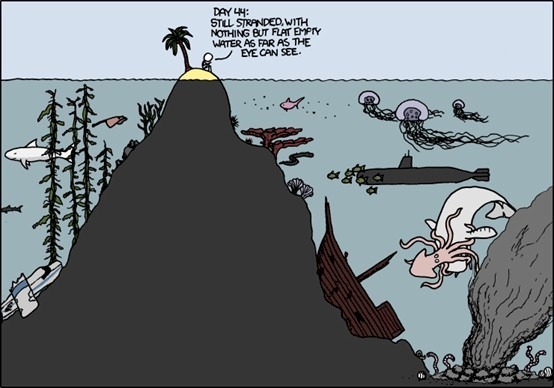 I love the XKCD cartoon and it’s ‘deeper’ message about how much richness is below the surface. An apt metaphor for the always adventuresome and somewhat mysterious paradise of the Maldivies. In the spirit of the day, I will donate a £1 for every comment to today’s post that provides something missing from the cartoon above if it were a Maldivian island. 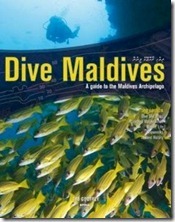 Dive Maldives by Tim Godfrey – The original. More focused on scuba diving, but it does highlight which sites are great for snorkelling too. Complete Guide to Diving and Snorkeling the Maldives by Sam Harwood and Rob Bryning – No dive charts like Godfrey features, but Harwood and Bryning do have more information specifically on snorkelling. For example, for every site they indicate not just a star-rating for diving, but also one for snorkelling. 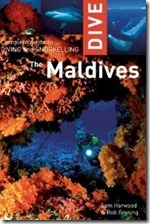 Diving & Snorkeling Maldives by Lonely Planet – A relatively recent find, though also out of print. Thinner and less comprehensive that the other two, but a handy guide for the most prominent sites. When I need to describe the Maldives to people unfamiliar with them, I say “You know those pictures of a deserted tropical island of a plot of sand in the ocean with a palm tree in the middle?…that’s the Maldives.” But, the even more secluded, minimalist isolation comes from such plots…sans palm trees. The sandbanks. Discovery of a treasured isle…in Laamu’s aquatic backyard. If you get geographically claustrophobia, then you can still enjoy the tropical splendour of the Maldives on the more substantial plot of land, Gan. Covering 1500 hectares, it provides expansive open spaces rare in the Maldives. Big enough for an airfield which stretches from one end to another. And an old, disused golf course (built by the RAF airmen stationed there). Not only is Gan substantial, but it is connected to a string of islands Feydu and Hittadu. The resident resort there is Equator Village. As a result, it 'open' in another way by being also the one resort located on an island where other non-staff Maldivians reside. So it is truly open to Maldivian life not just landscape. A pavilion in your villa. The weather and surrounding are so idyllic and perfect that the biggest downside to a villa is having to go into it. The best villas provide lots of ways for you to remain connected to the natural splendour through decks, outdoor showers and bathrooms as well as a design of windows and vistas.